This is a sort of Martha July 4th. I was standing in the grocery store line and I got swept by her magazine. One Look at her berry pies adorned in stars and stripes and the “decorator” in me was smitten. I tend to get a bit obsessive when cooking for Spinach Tiger. I want to become proficient at whatever I take on, so I can tell you the truth, and help you understand food and how it works and not just a recipe. It’s a normal process for me to make ten pies in one week and then not make them again for months. Pie Making teaches me something every time. I can make a good pie crust using any of the many recipes out there, because it’s not so much the ratio of ingredients as it is the restraint in not over blending the butter. I stick with all butter and I like the recipe from Alice Waters. Rolling pins: I’ve tried all kinds, and I love the french, long wooden (no handles) type best. Roul’Pat: I use a roul’pat by Demarle to roll out pastry and pizza. Dough doesn’t stick. This is made by same company that makes silpat. Peach Pie Filling No fruit is the same. 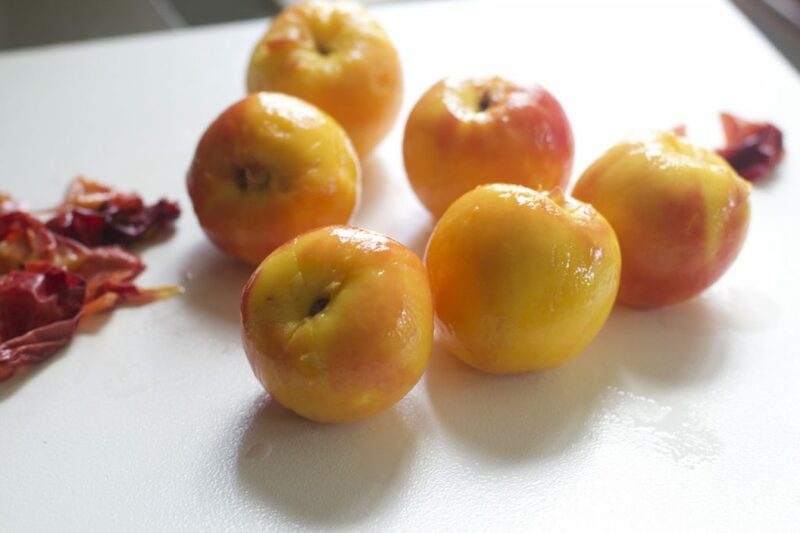 One peach is sour, one peach is sweet, even from the same batch. So, no one sugar amount is good to use for all time. Taste and adjust. The best pie feelings go by instinct and taste. The lemon juice is important, as it helps the pie from getting runny. I turned my pie into a 10” tart, because I just like the look, but this can be an old-fashioned pie just as easily. The result was a naturally sweet, juicy, peach pie, but not a runny pie. The secret to a good peach pie is good peaches. Blanch in boiling water so the skins slip right off. Isn’t this just beautiful? And, there is no waste. See below for the best way to peel peaches. Make an x in bottom of each peach. Blanch in boiling water for one minutes. Skins should slip right off. Cool. Slice in wedges ¾ “ thick. Toss gently with lemon and 1 tablespoon sugar. Chill overnight. You can skip this part if you don’t have time, but I think it makes the peaches sweeter and requiring less sugar. 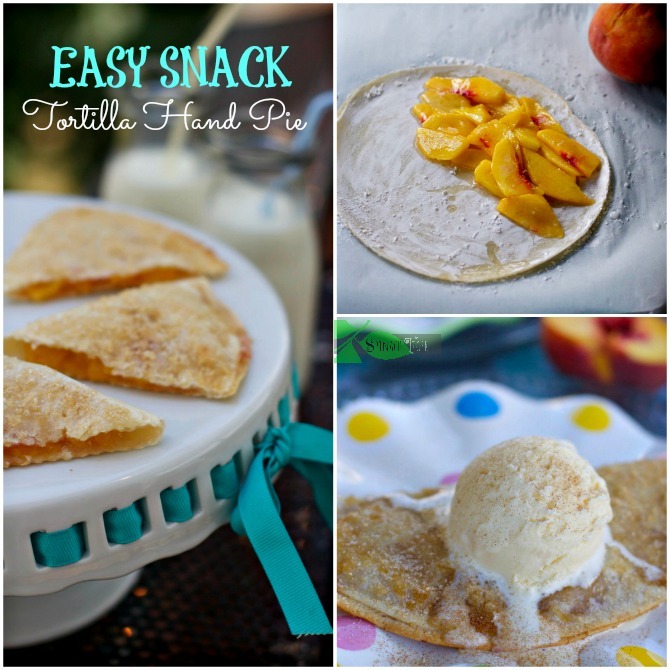 Since peaches can run from sour to very sweet, you’ll have to be your own best taster. This is why there is a large variation in sugar measure. Mix gently with flour. Mix salt and flour together. Cut butter into small pieces. Freeze for a few minutes, as butter softens immediately upon cutting. If using food processor, put flour mixture in bowl. 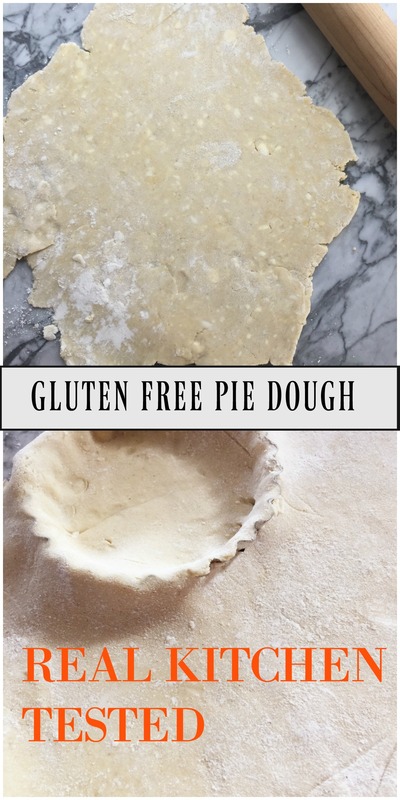 Roll out dough, evenly, not too thick, less than ¼” thick and in all directions to make a circle. Do not stretch dough, because it will shrink back. Patch any cracks or holes. Use fork to make indentations. Chill for 30 minutes, or put in freezer for 15 minutes. 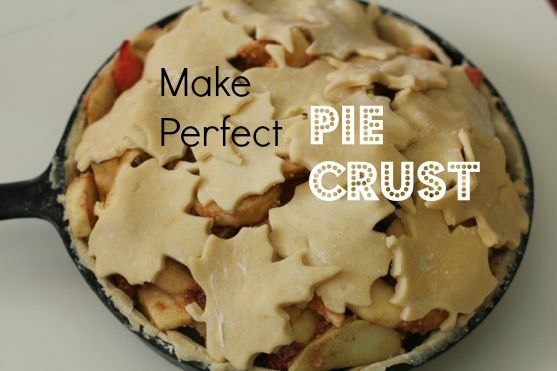 Make a mixture of 1 teaspoon flour and 2 teaspoons sugar and put on bottom of crust. Place peaches in colander to drain excess liquid and arrange over sugar. 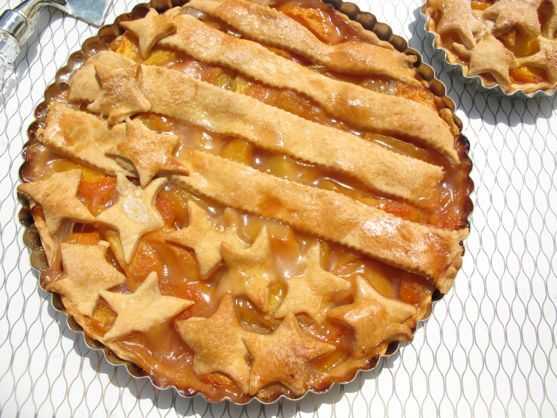 Roll out the rest of the dough into a rectangle shape and cut out stars and stripes. Arrange. Brush dough with egg wash to enhance browning. Bake for 45 -55 minutes at oven’s lower level at 375. During last 20 minutes, you may need to tent with foil to avoid further browning. Note: Use any left over peaches and dough scraps to put a galette together, as pictured below. This could be your taste tester. Note: Tarts use less peaches than pies. You may need to adjust to make a pie.